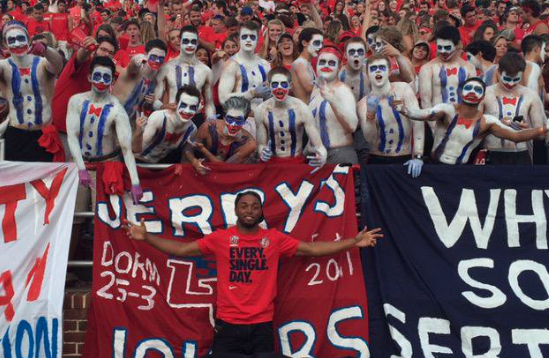 Update: Coach Freeze confirmed that Brown is no longer part of the Liberty coaching staff. We have been able to verify what was first posted on our forums, Mike Brown is no longer part of Coach Freeze’s coaching staff. Brown was the lone holdover from Turner Gill’s staff that remained as part of Freeze’s staff of 10 on-field assistants which were formally announced earlier this month. When the rest of the staff was announced, on January 11th, Coach Freeze alluded to the fact that he and Brown hadn’t gotten to the point where they were both 100% comfortable. 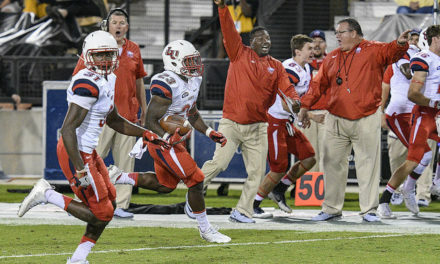 Mike Brown joined Liberty’s coaching staff during the summer of 2018 as running backs coach, a position he remained at initially under Freeze. He graduated from Liberty in 2011 after a stellar 4-year career where he was a two-time All-American, earning the honor at both wide receiver and quarterback. Brown helped the Flames win three Big South Conference titles from 2008-10, leading the team in receiving in 2009. 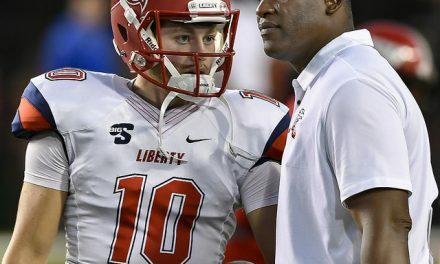 He then guided Liberty’s offense as a quarterback during his final two seasons, leading the team in both rushing and passing in 2010. He was named Big South Player of the Year in each of his two seasons at quarterback. Following his playing career at Liberty, Brown signed as an undrafted free agent with the Jacksonville Jaguars, playing there for 3 seasons. He finished his NFL career with 39 receptions for 534 yards and 2 touchdowns. He then began his coaching career as an offensive analyst and running backs assistant under Jim Harbaugh at Michigan for the 2016 season. In 2017, he was reunited with his former head coach at Liberty, Danny Rocco, as offensive quality control and running backs coach at Delaware.